It’s one of those surprising sales stories of 2016. How could a metal band doing a Simon & Garfunkel cover sell 370,000 copies of their single with minuscule pop airplay? Well, it’s happening to Disturbed, the group from Chicago that’s had many hits on the Active Rock listing since 2000. Given their dark imagery and loud sound, it’s no surprise that the act performs well there, but stays well away from any format where it would be played next to the likes of… oh, you know, Justin Bieber or Taylor Swift. Well, it appears that may be changing, as their record label, Reprise, is beginning to test the waters at CHR/Pop (and Hot AC) radio with a very reactive record. “The Sound Of Silence” is already in rotation at stations in Baltimore, New Orleans and San Francisco across the two panels, with a number of other markets likely to add the record soon enough. Considering it’s a few weeks away from achieving 500,000 in sales, not to mention its 20+ million Spotify streams and 30+ million video views, this one looks like a monster… literally. Interestingly, this comes at a time when a #1 at Active Rock radio (“Sound” has been atop that chart for five weeks) hasn’t charted in the CHR top 50 since the fall of 2012. The Pretty Reckless narrowly missed the chart in 2014 with “Heaven Knows”, but “Sound” is the more popular sound when it comes to pure statistics, and has a better shot at hitting the top 50 than “Heaven” did. All data prior to the summer of 2006 is from Radio & Records, with Mediabase 24/7 used to the current day. Peaks marked with an * represent those with the addition of two frozen charts around the holidays. This freeze was discontinued in 2006. 2000 became a great breakout year at CHR radio for both 3 Doors Down and Creed, who would go onto several successful eras at the format. “Kryptonite” and “With Arms Wide Open” became back-to-back #1’s that fall, holding atop the list for ten big weeks. 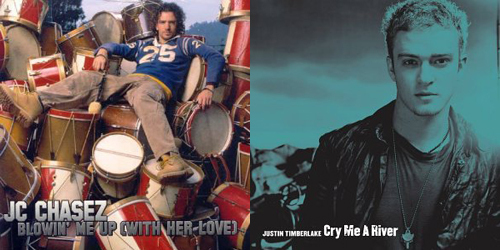 Two more newcomers with massive Active Rock chart-toppers made crossover runs in 2001, with both becoming signature hits for Staind and Nickelback. “How You Remind Me” outlasted “It’s Been Awhile” after they fell off the survey, but both did very well. 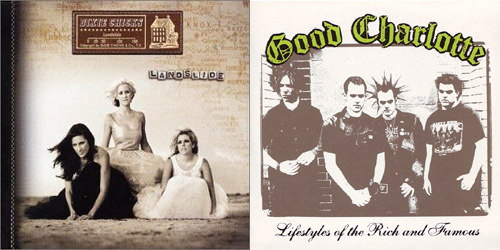 Another two new groups broke through in 2002: two-hit wonder Puddle Of Mudd (“She Hates Me” hit #7 on CHR that year) and Linkin Park, with their combination of rap and rock proving likable for a mainstream audience. “In The End” is still their top hit. By the end of 2003, 16 #1 songs on the Active Rock chart placed in the top 50 on the CHR/Pop chart, 15 of them making the top 40 and ten making the top ten. Audioslave and Trapt were fresh on the chart this year, while Active mainstays continued to do well. After the success of “Numb”, an Urban-driven revival at many pop stations lead some harder rock material to be shunned, but that didn’t stop some songs from crossing over. “Cold” experienced two pushes at CHR, spending months on the list until August 2005. The rise of digital downloads helped some acts regain their footing at pop radio. Green Day‘s huge American Idiot album was the talk of the town, and singles from Nickelback (one of five top tens from All The Right Reasons) and Staind had stellar longevity. 2006 was another down year for Active Rock songs, even with the Red Hot Chili Peppers and their comeback. It dominated the rock world, but they were just “too old” for some pop stations to play. Stone Sour had their biggest crossover track during 2006. After charting with “One Thing” in 2004, Finger Eleven struck the pop top ten with another big record. It hit 30 weeks in the top 50 in early 2008. Three Days Grace went top 40 for the first time since 2004, with “Never” being their final CHR single to date. After multiple top ten hits, including the aforementioned “Kryptonite” and “When I’m Gone”, 3 Doors Down had one last trip to the region in July. “It’s Not My Time” spent one week at #10. Theory Of A Deadman also made their crossover debut that year. The Florida group Shinedown had a career song beginning in late 2008 (and early 2009 at pop) with that big ballad, one of a few token rock hits to make their way to the pop airwaves towards the latter part of the decade. The band had a total of three CHR hits. Far from their glory days, but still making radio hits, Linkin Park landed the two most recent Active Rock chart-toppers to find a home on the CHR/Pop chart. Question is, will Disturbed claim the next one and put 2016 on the map for crossovers? Stay tuned. For more chart trivia that rocks, follow the blog below or click the “Get Social!” tab above to find PGTC on social media.